Craniospinal Hydrodynamics in Neurodegenerative and Neurological Disorders is for students and doctors of chiropractic, osteopathy, neurology, neurosurgery, physical therapists, and researchers interested in finding the causes, new treatments, potential cures and prevention of neurodegenerative and neurological conditions related to faulty craniospinal hydrodynamics. 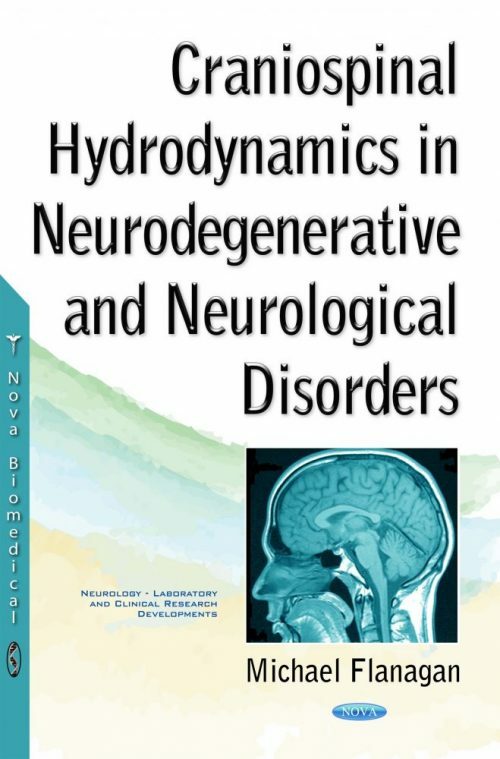 This book proposes a completely new theory regarding the causative and contributory roles of faulty craniospinal hydrodynamics and morphology in neurodegenerative and neurological conditions. Relevant morphology includes malformations and misalignments in the craniocervical junction and spondylosis, stenosis, scoliosis and pelvic obliquity in the lower spine. Malformations of the craniocervical skeleton include: Chiari malformation, Dandy-Walker syndrome, mega cisterna magna, occipitalization, malformations of the dens, platybasia, basilar invagination, hypoplasia of the posterior fossa, craniosynostosis, craniofacial anomalies and more. Malformations of the lower spine include: Tarlov cysts, spina bifida cystica, tethered cord, short leg syndrome and others. A chapter on whiplash and traumatic brain and cord injuries is included, as well as a chapter on microgravity and hydrocephalus, and the latter’s similarities to glaucoma. Finally, there is a chapter on treatment. Conditions include hydrocephalus, Chiari malformations, Dandy-Walker syndrome, Alzheimer’s disease, Parkinson’s disease, Parkinson’s Plus, multiple sclerosis, amyotrophic lateral sclerosis, Huntington’s disease, midbrain/Parinaud’s syndrome, idiopathic intracranial hypertension, optic neuritis, transverse myelitis, migraines, epilepsy, silent strokes and more.